In choosing the best vitamins and supplements for rosacea, we’ve spent more than 15 hours comparing and reviewing more than 20 different brands to come up with this list. The products in this review were chosen based on their benefits and capabilities to help soothe rosacea-affected skin. Vitamin A is a great help for rosacea. It facilitates wound healing and offers protection against free radical damage. ​Now Foods Vitamin A has 25,000 IU. It's our top choice for its potency and benefits. Ester- C Vitamin C isn't like your typical vitamin C supplement. It's gentle on the stomach and last longer, too. 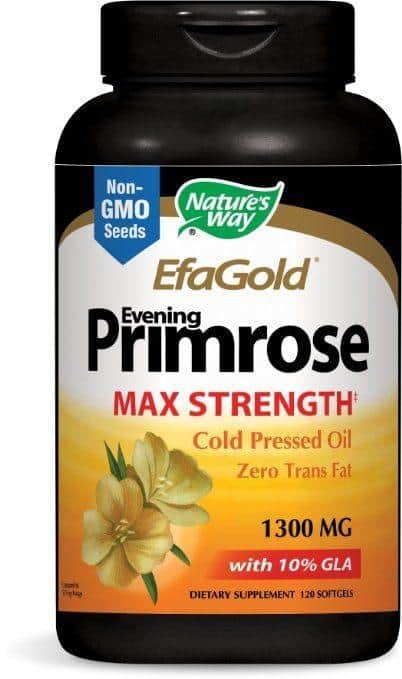 Nature's Way EfaGold Evening Primrose comes from cold-pressed oil. I can help with inflammation as well as with flaky skin. Good State Liquid Ionic Silica Supplement can be mixed with water or juice. It's a good addition to your diet since it helps with cellular repair. With the following best vitamins and supplements for rosacea, say hello to healthier skin. Now Foods Vitamin A contains 25, 000 IU. It comes in soft gel form which means that it contains gelatin. Gelatin, in case you are wondering, can come from tendons and ligaments of horses and cows. If you are hypersensitive to bovine and cow gelatin products, I suggest you skip this supplement to reduce your risk of allergy. The actual vitamin A, however, is sourced from fish liver oil so don’t be surprised if this supplement smells a bit fishy (no pun here.) If you’re worried about it making your breath stink, the answer is no. It’s recommended that you take the supplement once a day, preferably with meals. Do not take it more than the recommended dose to avoid vitamin A toxicity. It’s relatively rare but it can still happen in a short or long period of time. Vitamin a should not be taken by pregnant women. It’s also not for people with active liver disease and those who consume high amounts of alcohol. Vitamin A is a popular ingredient in anti-acne products because of its antibacterial and wound-healing properties. These are the same reasons why it’s also good for rosacea-affected skin. The vitamin can also help stimulate the production of healthy skin cells and provide protection against skin aging and free radical damages. Take note that it can also increase your skin’s sensitivity to the sun. If you are planning on adding this supplement to your diet, make sure to wear the right sunscreen for your skin condition. 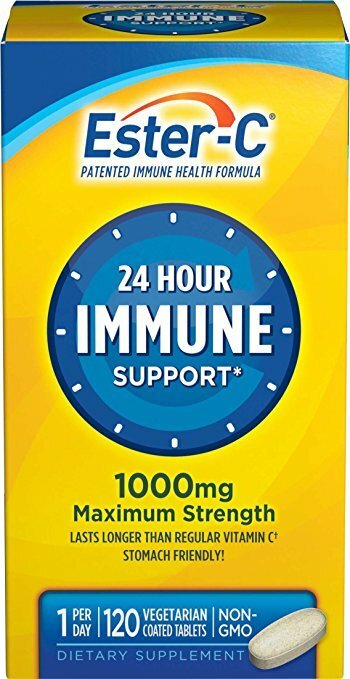 Ester- C Vitamin C offers 24-hour immune system support. It claims to be able to stay in your body longer than most vitamin C supplements. It’s non-acidic which is good news if you have a sensitive stomach. It’s non-GMO, too. One thing I didn’t find quite nice about the supplement is that it can be quite hard to swallow. You may have to break it in half if you’ll have troubles taking it in. Vitamin C is one of the most powerful vitamins for the body and it has lots of benefits for rosacea-affected skin. Rosacea is believed to be caused by blood vessels that dilate too easily. Vitamin C can strengthen these weakened blood vessels to relieve your condition. Another reason is vitamin C’s anti-inflammatory properties. It has bioflavonoids to tame down swelling as well as redness. This primrose from Nature’s Way contains 10% gamma-linoleic acid. It’s an essential fatty acid that helps tone down inflammation while encouraging repair of dry flaky skin. Its source is also cold-pressed which means it’s able to retain most of its nutritional value. To get the most out of this supplement, it’s recommended that you take one soft gel capsule two to three times a day. The capsules are easy to swallow but you may still find it hard to take it since they are a bit big. As I said above, primrose is a good addition to your diet because it really helps with dry and flaky skin. It can relieve inflammation well and can even trigger protein synthesis. Unlike the other products on this list, this silica supplement comes in liquid form. It claims to have high absorption rate which means it’s able to reach your cells easily. Ideally, you should take 10ml of it. One bottle should give about 48 servings. It does have an odd taste but it goes away fairly quick. It’s not as disgusting as I’d expected so you should be able to down it without too much issues. If the taste bothers you, mix it with juice instead of water. Silica may sound foreign to you but it’s actually one of the essential elements your body needs for repair. In fact, each cell in your body has silica. Aside from repair, this mineral also stimulates the production of collagen which provides the main structure of your skin. It also facilitates healing. Jarrow Formulas Zinc Balance has 15 mg of Zinc per serving. It’s free from gluten, egg and even dairy which means it doesn’t pose a high risk of allergy. The supplement also has gelatin. If you have an allergy to bovine or cow, it might cause a hypersensitivity reaction. So, before you actually take this supplement, I suggest you consider your allergy triggers first. Jarrow Formulas Zinc Balance contains both Zinc and Copper in a 15:1 ratio. This balance is what boosts this supplement’s antioxidant benefits. The capsules are small but their effects are awesome. It works against acne, blemishes and even depression. One thing I don’t find nice about the product is how it leaves a slight metallic aftertaste if you get the capsule to leak in your mouth. Of course, chances like that are rare but I’d still like to let you know (don’t say I didn’t warn you). You might have already heard about how effective zinc is for acne. With the same properties and benefits, this mineral can also do a lot of good things for your rosacea.- without significant side effects. Taking zinc can reduce your skin’s redness and irritation. It can also reduce the uncomfortable itching that goes with the condition. Can Vitamins and Supplements Cure Rosacea? No, taking vitamins and supplements won’t treat rosacea- but they can be helpful in managing its symptoms. You can take them with your existing treatment plan or to support your body’s natural healing and recovery process. Not all vitamins and supplements are good for rosacea. There are some of them that can trigger flare ups and this is where the tricky part begins. Supplements, on their own, can’t aggravate your rosacea. It’s how much you take and how they react inside your body that trigger flare ups. To give you an idea, here are some of the ways supplements can do more harm than good for your condition. Rosacea is a condition where the blood vessels dilate quickly. When there’s increased blood flow, your blood vessels are forced to increase in size to accommodate the increase in blood volume. Some supplements can increase your body temperature which can result in flushing of the face. This can trigger your rosacea more. These nerves are located in the anterior part of your hypothalamus. Once activated, it puts your body in a state similar to the fight or flight response where your heart rate, breathing, blood flow and energy increases. During metabolism, one of the energy sources released by your cells is the ATP which also happens to be a very potent trigger for rosacea. Now that you know how some supplements can trigger your condition, I’m giving you a quick list of the supplements you should avoid. Green tea offers lots of health benefits, like increasing your metabolic rate as well as providing potent antioxidant benefits. The drawback with this supplement is that it can increase your heart rate and blood pressure- two things that can make your rosacea go bad. Gingko Biloba can improve your cognitive abilities but it can also cause flushing. This supplement can trigger your cells to release more ATP which is a strong trigger for rosacea. If you are taking this to build a better physique, make sure to take no more than 20mg within an 8-hour period. In this roundup of the best vitamins and supplements for, we’re selecting Now Foods Vitamin A as our number one pick. This vitamin can aid in repair while giving your skin the protection it needs against further damage caused by free radicals. In taking this supplement, make sure to not go beyond the recommended dose. Although it's helpful in keeping rosacea symptoms at bay, it can still be detrimental when taken in large doses.